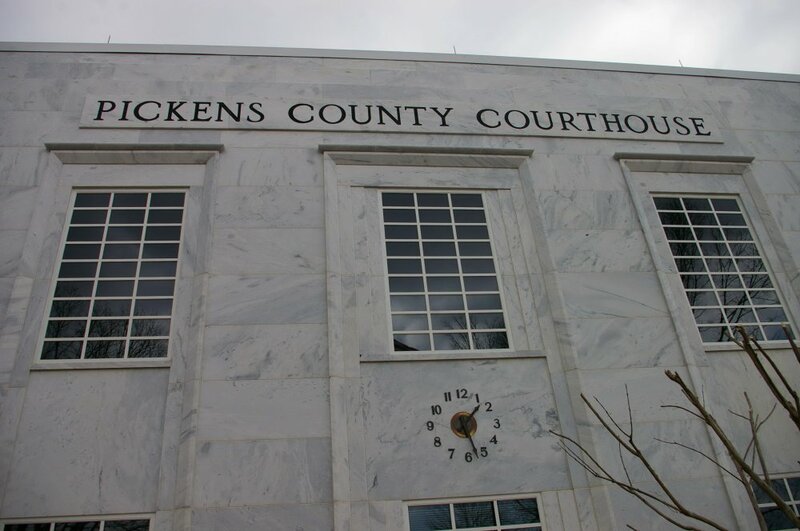 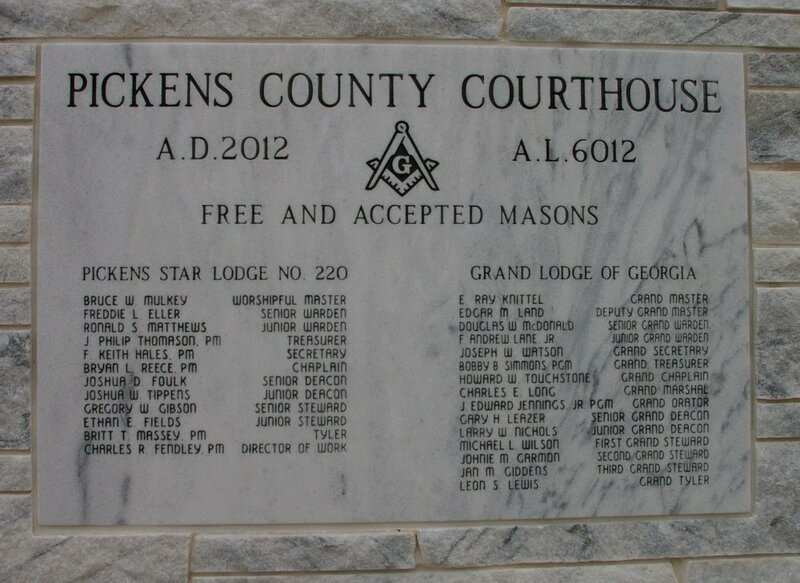 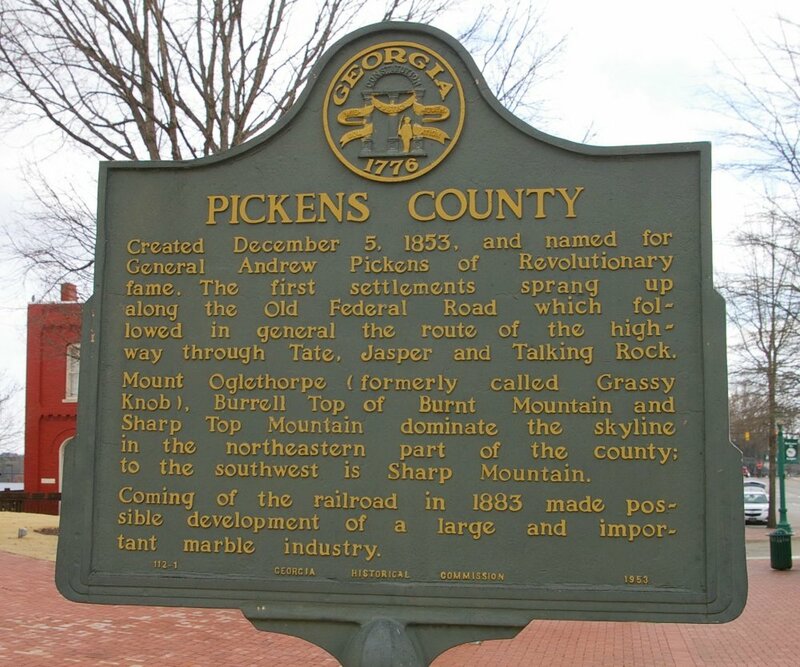 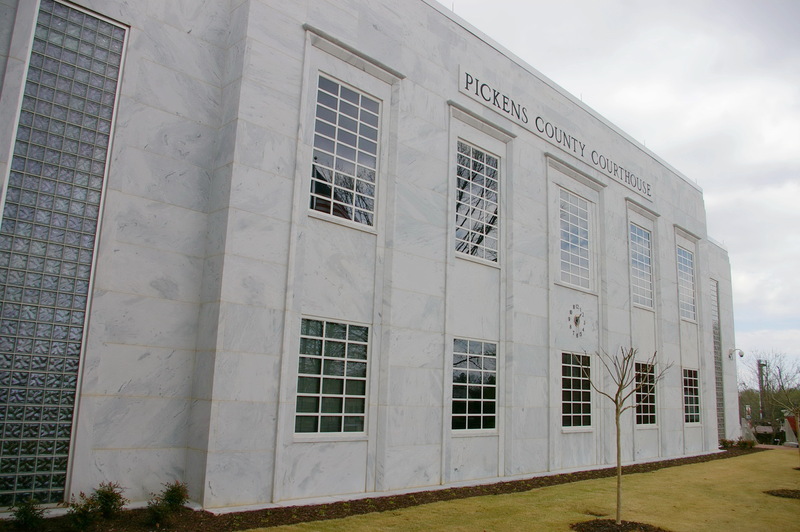 Pickens County is named for Andrew Pickens, who was a general during the American Revolutionary War and who led a campaign against the Cherokee Indians. Description: The building faces west and is a three story white colored marble clad, red colored brick and concrete structure. 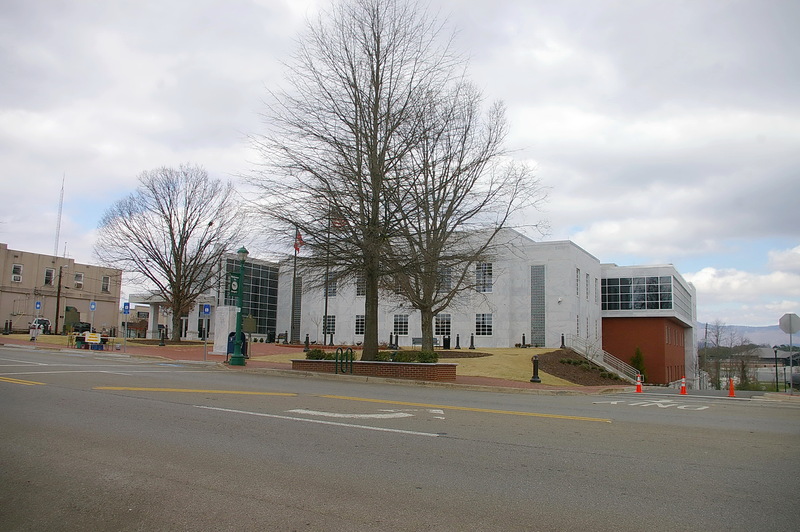 The building was renovated in 2012 to 2013 and a large addition added on the east side. 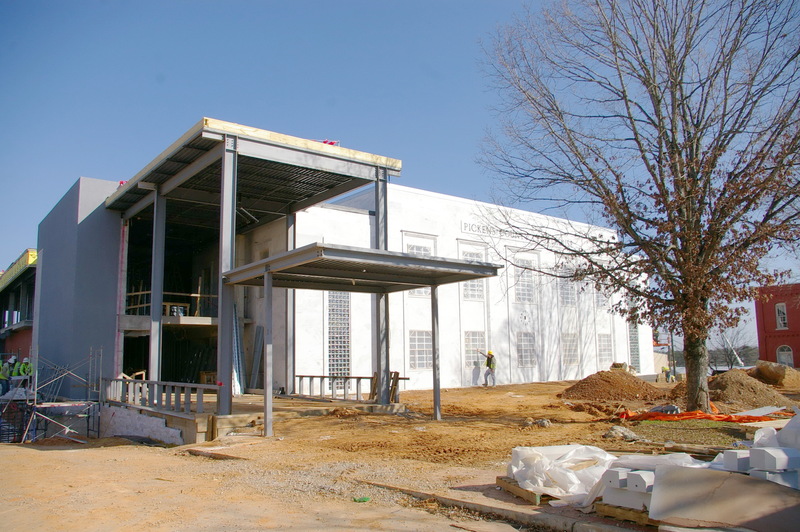 The building has a main entrance on the northwest corner of the second story and descends a slope towards the east side. There are large windows on the newer sections. 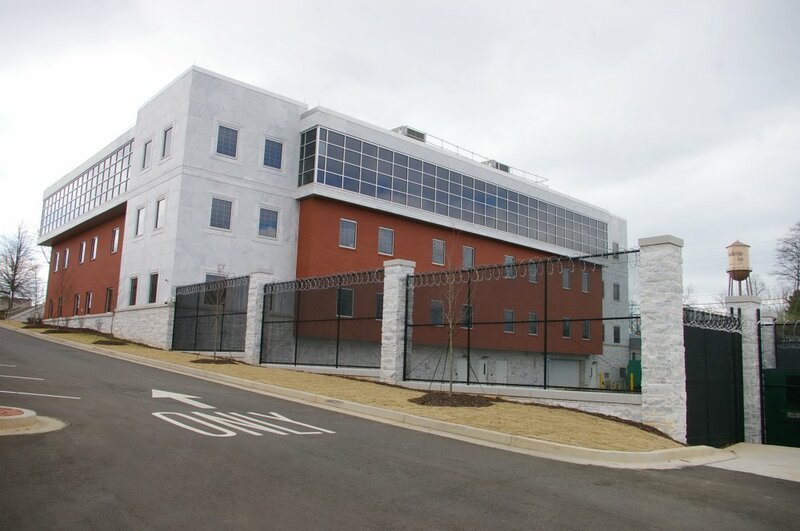 The architect was JKH Architects of Dalton and the contractor was New South Construction of Atlanta. 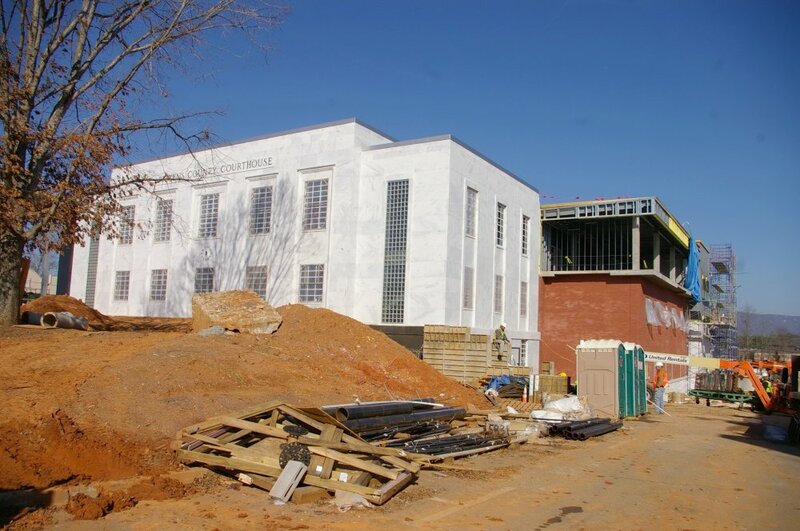 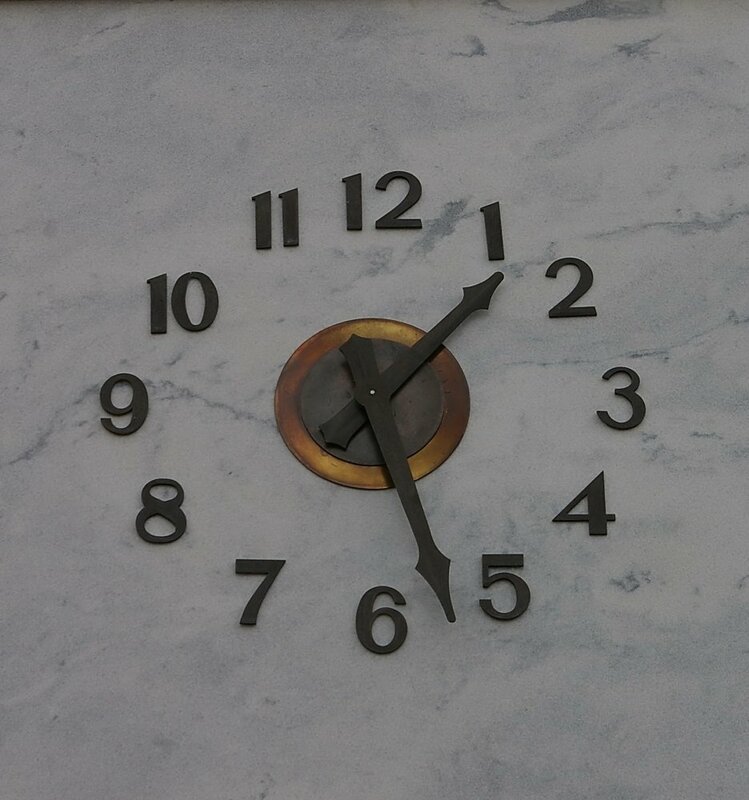 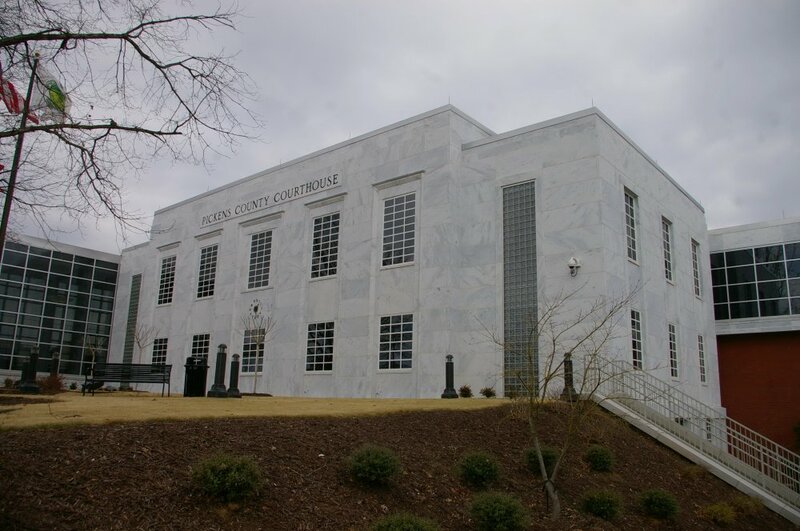 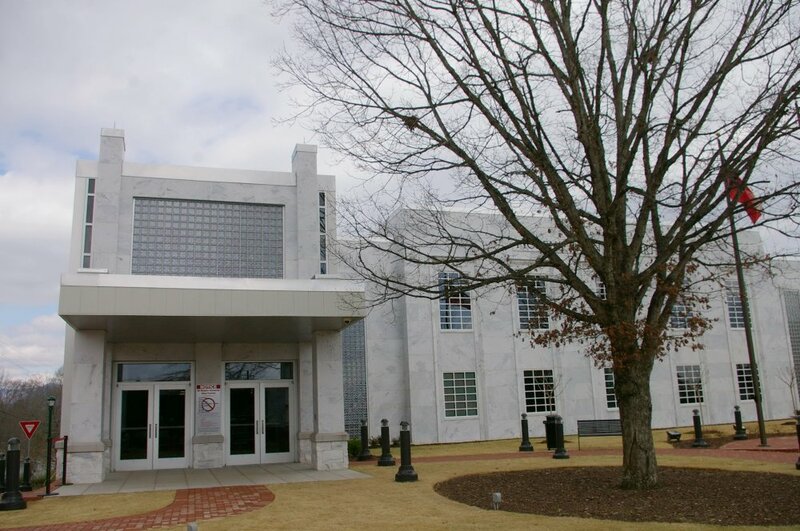 Note: In 1949, the construction of the courthouse was completed by convict labor under the supervision of the Building Committee: Alonzo Cagle, Homer Chastain, T A Chastain, Carl Darnel, Will Evans, W A Hamrick, T E Johnson, O L Mullins, Will Poole, E L Sartor, Y T Tarple, L E Tate, Brady Turner and Paul Walker. 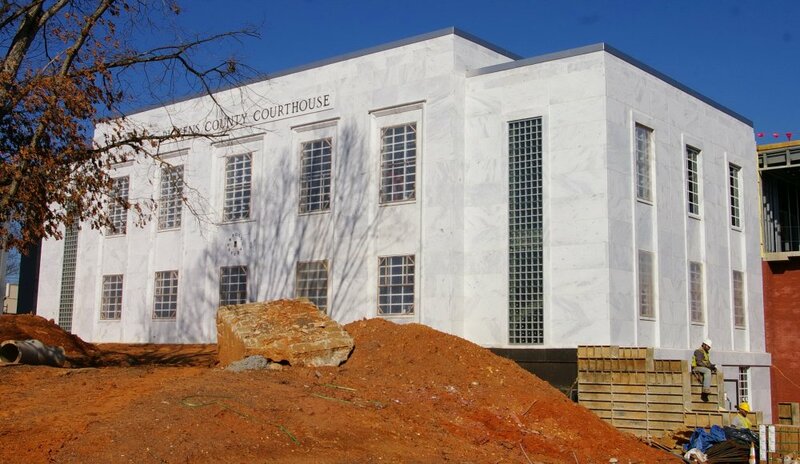 Note: The first courthouse was built in 1859. 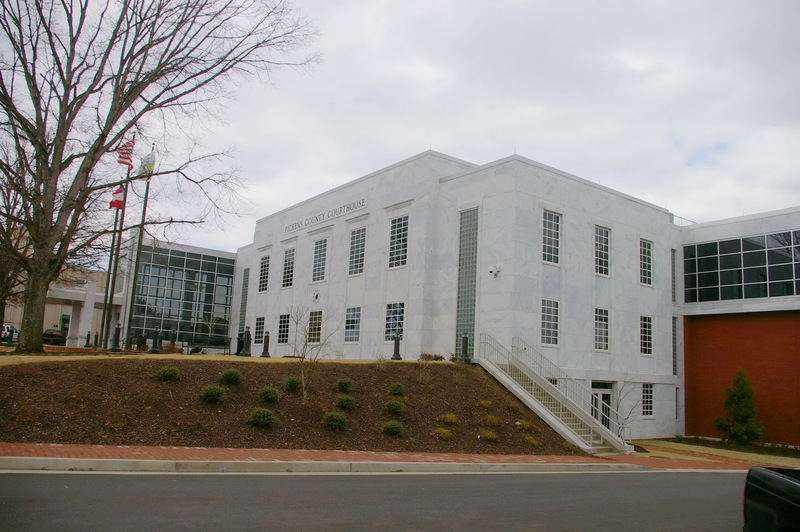 The second courthouse was designed by Bruce & Morgan and constructed in 1888. 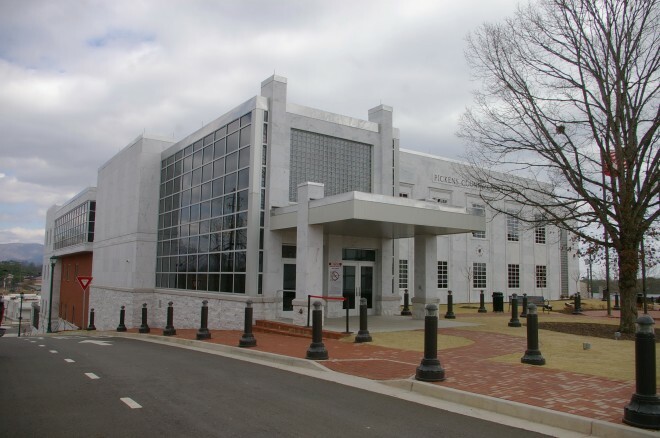 The building burned in 1947. Contractor: Mann & Massee, Inc. 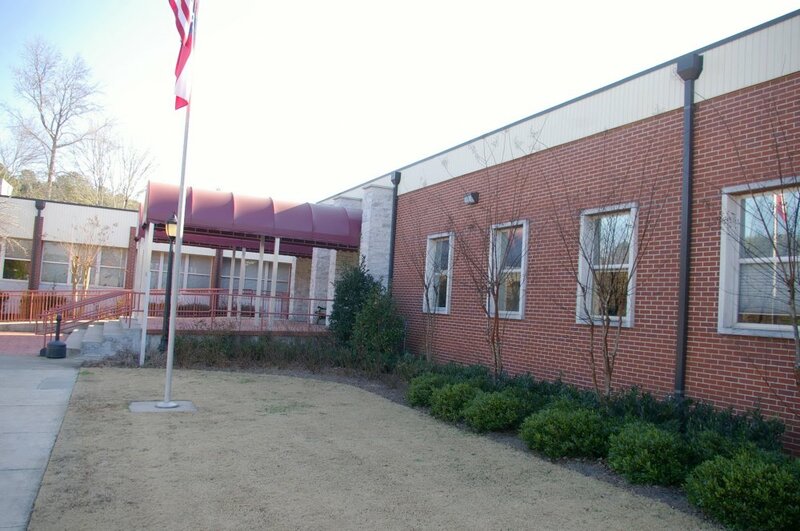 Description: The building faces northeast and is a one story red colored brick and concrete structure. 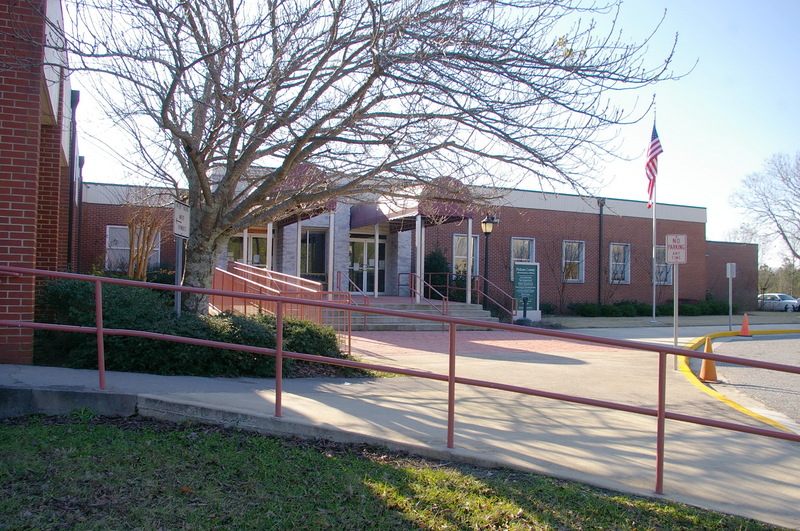 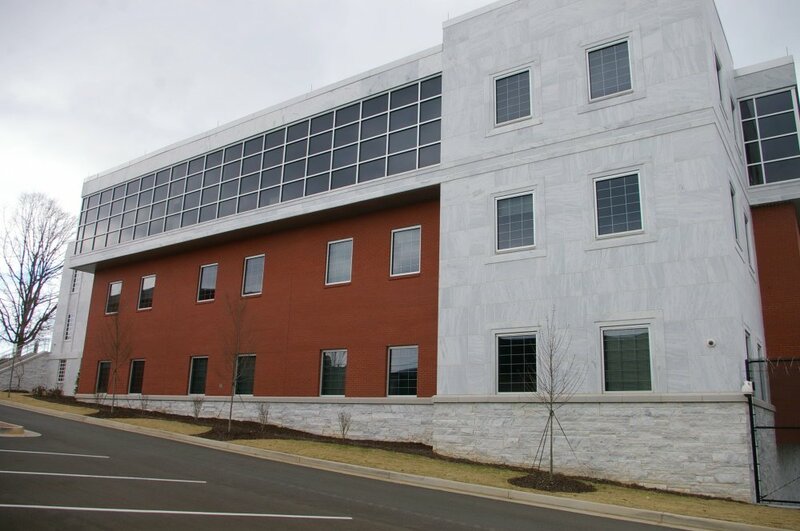 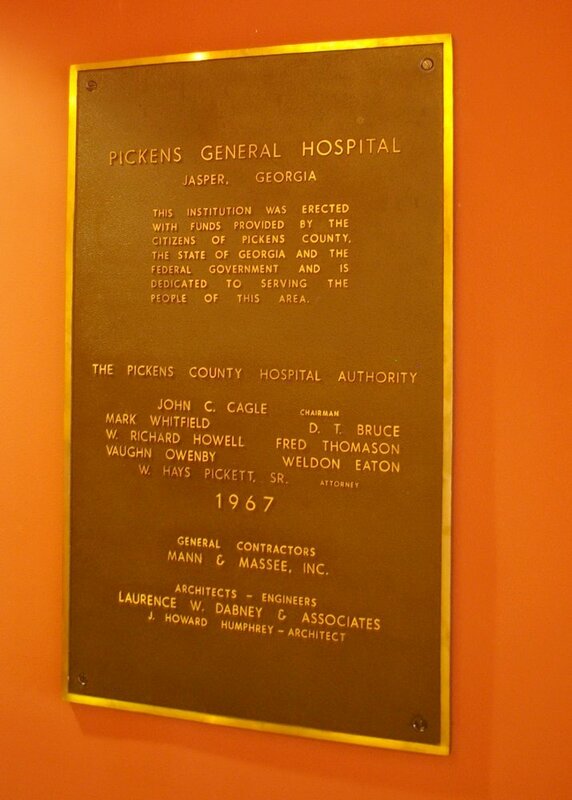 The building was constructed as the Pickens County Hospital and sold to the county in 2006.